This Buddha decoration is uniquely designed and handcrafted with attention to detail! It is made with a two-sided Buddha charm which hangs in the middle of the silver circle. 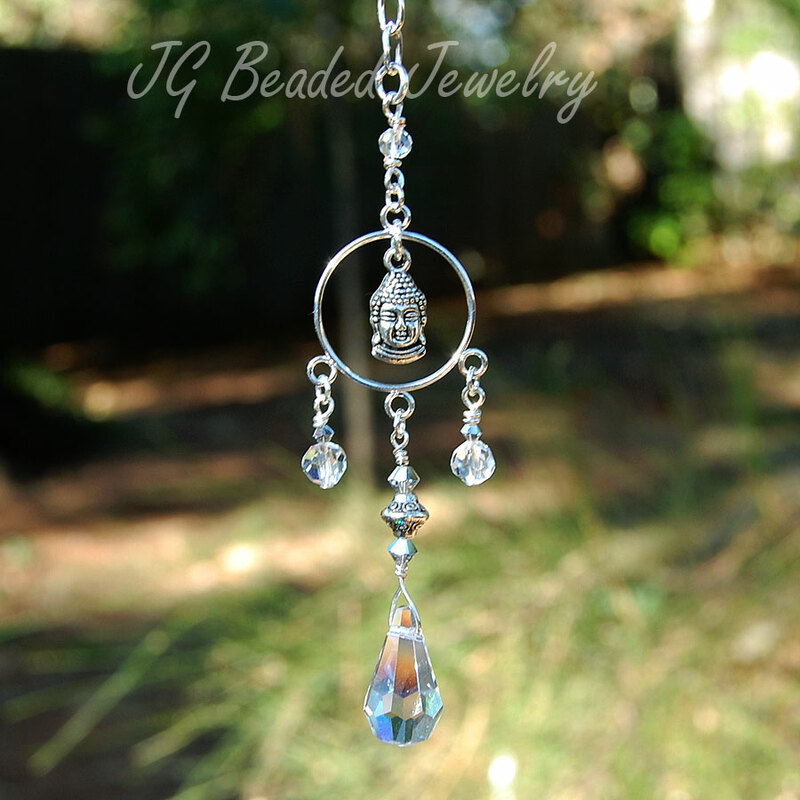 There is a teardrop prism crystal hanging below the Buddha decoration between two other crystal dangles. 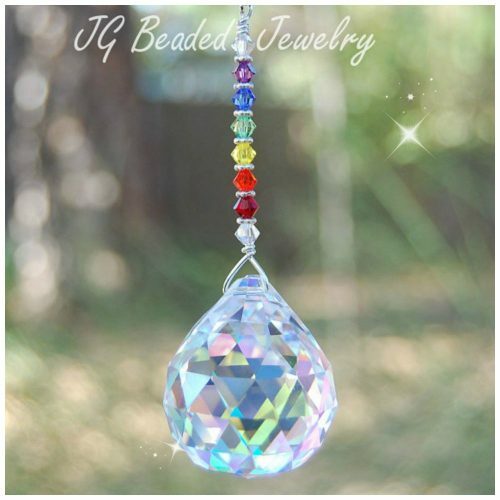 The prism crystal dangle is wire wrapped together with silver Swarovski crystals and a nicely designed etched silver metal bead. 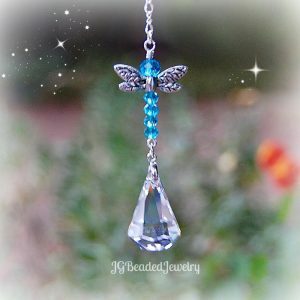 The two smaller dangles on each side are wire wrapped with clear faceted round crystals and smaller silver comet Swarovski crystals. There is another faceted clear crystal at the top for a little extra sparkle. This crystal Buddha decoration will give off rainbows when in direct sunlight, but not enough to cause any problems while you are driving. 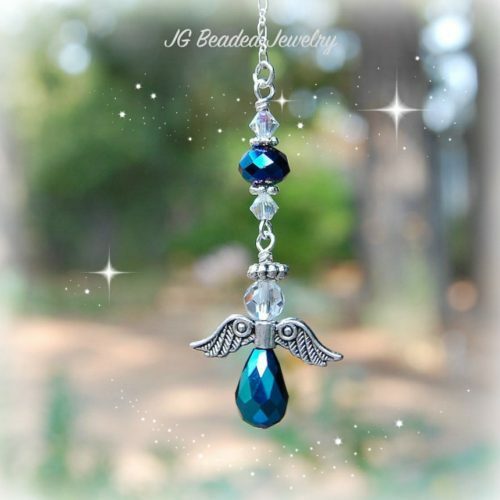 It comes on a silver chain with clasp for the rearview mirror or on a 6″ chain with a ring so that you can hang it in a window, use the drop down menu at checkout to make your choice. Other charms may be available by sending a message with your request. 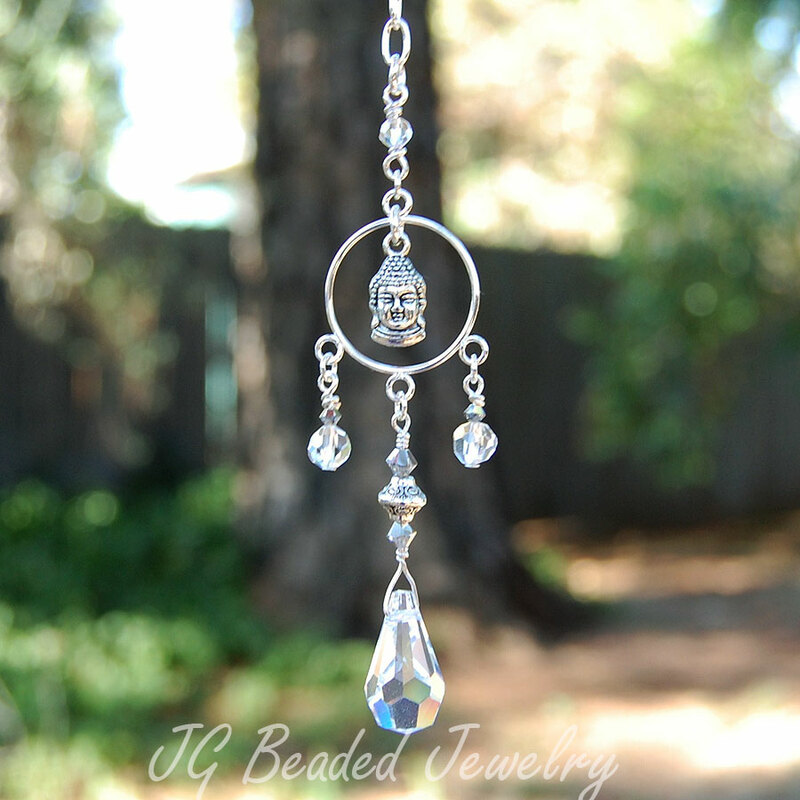 Find more Rearview Mirror Decorations and Crystal Suncatchers!